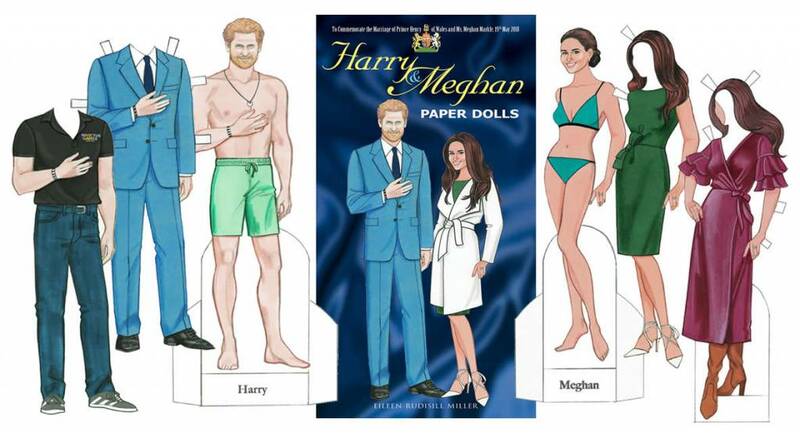 A paper doll celebration of Prince Harry and Meghan Markle! Beautifully illustrated by Eileen Rudisill Miller, this commemorative set offers 15 outfits to dress on the Harry & Meghan dolls. Includes outfits worn by Harry & Meghan for various public appearances including their engagement announcement, Invictus Games, World AIDS Day and Christmas, plus Prince Harry's dress uniform for the British Army. Reference notes are provided along with a bio of the royal couple. A must-have for royal watchers!